What makes Executive Care unique is our devotion to client experience. 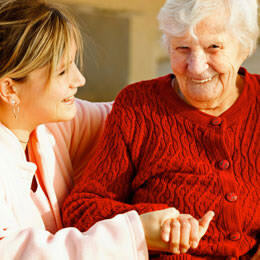 We understand the need to provide high-quality compassionate home care. And more importantly, we provide peace of mind to our clients and their families. The Executive Care business model is built on multiple potential revenue streams inside your franchise territory. Executive Care offers large, protected territories of 500,000 residents with multi-territory opportunities available. Our robust technology platform covers all aspects of the Executive Care business. Franchisees will possess a key advantage in scheduling, telephony, billing, payroll, and client care portal. We provide billing and payroll support for all franchisees. Executive Care offers low start-up costs and an opportunity to make a difference in your community and build a successful, rewarding business. Semi-absent ownership model gives franchisees the choice to either be directly involved in the business operations and/or keep their current job and have someone else run the operations. Sales and marketing is not done by the owner, but by a dedicated employee whose job is to drive the business and add new accounts through relationship building and community involvement. 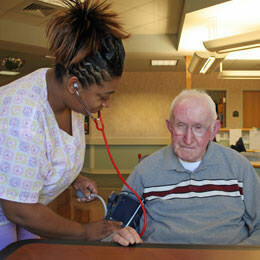 Executive Care is a franchise opportunity built on very strong core values and experiences. We know what works and what doesn’t. With over a decade of home care experience, our proven system is designed to run a successful Executive Care business without any medical experience. Our franchise business owners come from various and diverse backgrounds, many remaining in their current professions. 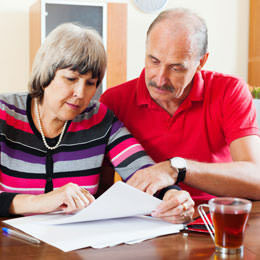 At Executive Care we strongly believe that support, training and education never end. Take Care of your future helping others! Why is this growth so significant? Discover the Power of Helping Others. Since Executive Care was founded in 2004, our mission is to provide compassionate quality Home Health Care services to our clients so that they can remain safe and independent in the comfort of their own home. We want every client to have a great experience with Executive Care. Every Executive Care owner knows about the importance of providing Executive quality care to their clients and providing strong customer service. We're looking for franchise owners who have management experience and who are results oriented. You will be managing your staff which includes a dedicated sales person (you do NOT have to market the business), and overseeing business growth and P&L. We look for people who are commitment to their Executive Care business and their community. This is a lucrative and rewarding business and people with passion are more likely to succeed. INTERESTED? Please fill out the form for more information! Executive Home Care is currently accepting inquiries from the following states: Alabama, Alaska, Arizona, Arkansas, California, Colorado, Connecticut, Delaware, Florida, Georgia, Hawaii, Idaho, Illinois, Indiana, Iowa, Kansas, Kentucky, Louisiana, Maine, Maryland, Massachusetts, Michigan, Minnesota, Mississippi, Missouri, Montana, Nebraska, Nevada, New Hampshire, New Mexico, New York, North Carolina, North Dakota, Ohio, Oklahoma, Oregon, Pennsylvania, Rhode Island, South Carolina, South Dakota, Tennessee, Texas, Utah, Vermont, Virginia, Washington, Washington, D.C., West Virginia, Wisconsin, Wyoming.